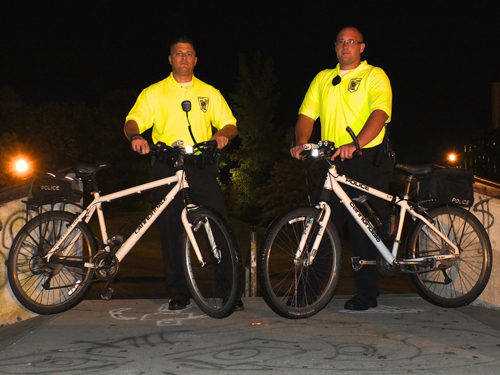 The mission of the Austin/Mower County Law Enforcement Reserve unit, in partnership with the Austin Police Department and the Mower County Sheriff’s Office, is to provide public safety services that enhance the safety, security and quality of life in the communities we serve. 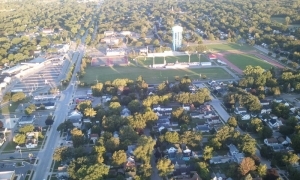 The Reserve unit has a commitment to helping improve the livability of our communities and to promote a team spirit and mutual support for the members of the organization, other city departments and allied agencies. Officers with the Reserve shall be called into service in the case of a civil defense emergency, natural disaster and various other circumstances for which the regular police forces are strained and for necessary training in preparation for such emergencies. Reserve Officers may also be used for civic events on a voluntary basis. 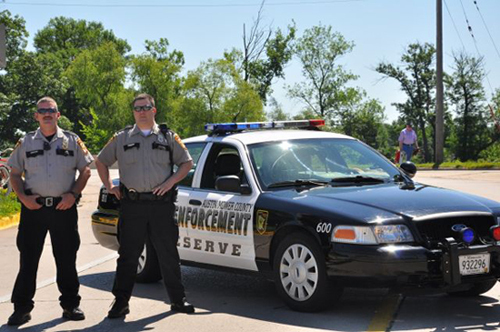 The Austin/Mower County Law Enforcement Reserve is made up of approximately 20 non-licensed volunteer officers. These men and women collectively donate several thousand hours a year serving Austin and other communities in Mower County. Summer months are generally the busiest. However, the Reserve manages to keep a fairly full calendar throughout the year. Bicycle/walking uniformed patrol on the community bike paths and other areas designated areas. Additional uniformed presence at the Mower County Fair. Assist law enforcement agencies and communities during natural disasters or city events and celebrations in Austin and outlying Mower County. 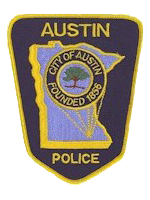 Provide officers for Austin High School Prom, Project Graduation and Austin Packer football home games. Assist law enforcement with crime scene security, search and rescue operations and various other tasks in places throughout Mower County. Regular ride-a-long program with City Officers and County Deputies. Take part in city or county disaster drills and similar trainings and both actors and participants. Must currently hold a valid driver’s license. A thorough background check will be conducted on all applicants. This is the same process that is conducted by the Austin Police Department and Mower County Sherriff’s Office. 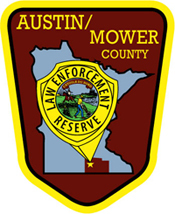 Must live within 30 minutes of the Mower County Law Enforcement Center in Austin, Minnesota. You may download the Austin/Mower County Police Reserve Application (PDF) here. Once we receive your completed application you will be notified by mail of when the next oral interview and physical agility test will take place. Information within the application further explains the process of becoming a reserve officer as well as the training and expectations of people once they become part of the unit. We attempt to hold this process the first part of October, however, dates are subject to change as needs dictates.